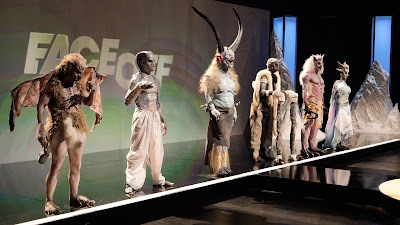 Face Off takes their contestants to the desert, where they are teamed up to create a demon from a specific region for this week's Spotlight Challenge. Anthony and Alam collaborate as they sketch their demon creature concept. The twist of the challenge was to create an ice demon. Each teams Ice Demon is ready for the judges review. Anthony and Alam triumph over Fox and Wayne this week with their Hindu Goddess, Deumus. 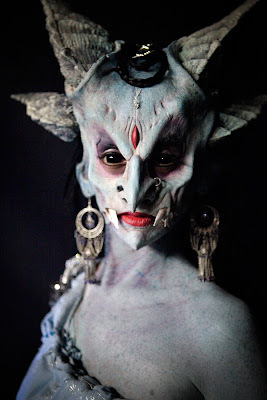 Since there can only be one winner each week, Glenn Hetrick announces Anthony the winner of the challenge for the third week in a row! "What should be grotesque, like the double nostril, is beautifully done," according to Neville Page. "You do exactly what we ask for [from week to week]," Glenn Hetrick said of Anthony during judging. Watch a sneak peek of next week's episode, "Eye Candy" by clicking HERE!